Now that fall is here and the first blast of winter weather is quickly approaching, have you thought about what that means to your cow herd? 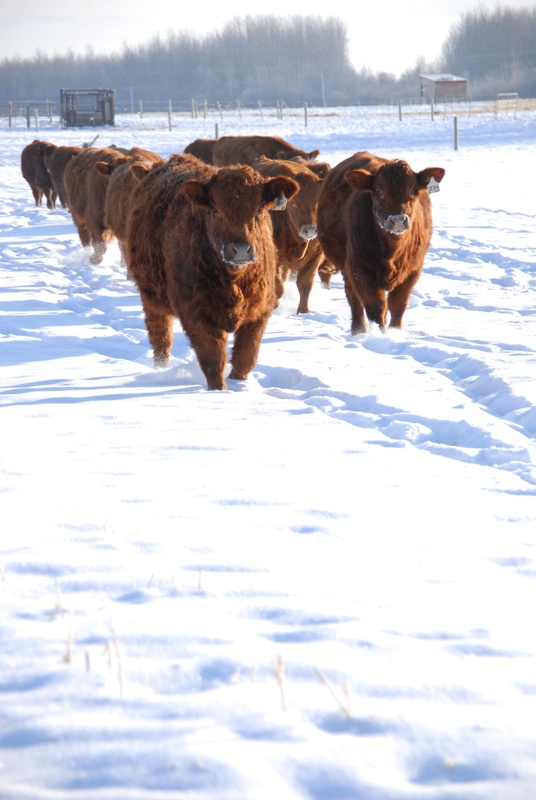 Keeping cattle in good condition through the fall and into early winter ultimately helps insulate the animal and minimize the amount of feed required later in the winter season. Kevin Glaubius, Director of Nutrition and Technical Sales at BioZyme® Inc., says now is the time to take an honest evaluation of body condition and match your feeding program to the needs of your cows. St. Joseph, MO-based BioZyme manufactures vitamin and mineral supplements for a variety of livestock. 2) Feed cattle a supplement that contains BioZyme’s Amaferm® to improve digestibility of feed and helps ensure that they are extracting all of the energy possible. Research shows that feeding a supplement that contains Amaferm has similar benefits to feeding at least 1lb. of grain. A strong nutrition program is key to maximizing the performance of your cow herd. For more information about winter supplementation, contact Kevin Glaubius at 816-344-5762 or kglaubius@biozymeinc.com.